Save money on your New Zealand bus pass. 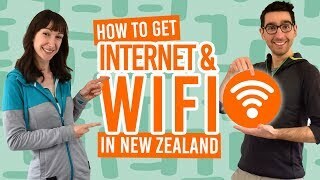 So you have done your research, read all our bus related articles, and have chosen to travel New Zealand using one of the hop-on hop-off bus networks? Good on you! You will have a blast! Now it’s a matter of finding you a good deal so you have more money to spend on jumping from a plane, bungy jumping from a bridge, or whatever crazy things you intend do here. Bus passes from the two hop-on hop-off bus companies, Kiwi Experience and Stray, are always on discount, but here are a few tips to guarantee a better deal on a backpacker bus pass in New Zealand. 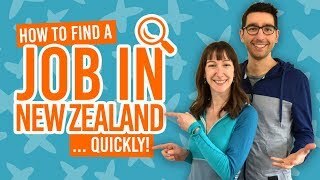 Once you find the perfect deal on a backpacker bus pass, take a look at our How to Budget for a Hop-on Hop-off Bus Trip Around New Zealand so you can keep those costs down and make your dollars stretch further! Generally, you will get a much better deal when booking your bus pass in New Zealand as opposed to booking prior to your arrival. Most overseas resellers get different prices than New Zealand-based ones. What’s more, the exchange rate that they’re charged is not ideal and is bumping the price up too. You are better off waiting to land in New Zealand and booking your pass then. (Do not fear, there will still be a spot for you in the bus). Bus passes are always on discount. When a promotion ends, it is replaced by another straight after! However, prices tend to follow the same pattern every year: from September to March prices are at their highest, and from April to August prices are much lower with the lowest point usually being in July. Obviously, this is not an exact science but this is what we have witnessed in the last few years. And by the way, here are 11 Reasons to Travel in the Shoulder and Off-Season in New Zealand. When comparing the different bus passes offered by Kiwi Experience and Stray bus companies, it is easy to get lost. Believe it or not, that’s over 60 passes to compare! Let us help. Start by eliminating every “non-national” pass. That’s all the passes that only cover a small section of the country. Those tend to be a much lower value for money than the national passes. We’ve found that the seven biggest passes from both companies offer the best value for money, so compare those with your bucket list to see which one fits. While it is Ok to leave a section of the bus route off because a pass is much cheaper than another, you may want to take a minute and look at those shorter passes to add them to it. For instance, if you chose a pass that does not include a trip to Milford Sound (you fool!) you may want to look at their options to get there. Combining the Milford Sound pass and the National Pass on discount may be much cheaper that jumping up to a bigger pass at regular price for the exact same trip. A) Get a price per day of travel (bus trip). To do that, find out the “minimum days of travel” of a pass that is stated on the brochure or on the website. Then divide the price of a pass by its minimum day of travel. You will get a price per day of travel. For that price, remember you are getting these things included: transportation + many stops along the way + some kind of free activities + commentary + fun times with like-minded people + the guarantee of one night’s of accommodation when you arrive at each destination. B) Get a price per month. For those that are always thinking in terms of “monthly plans” just divide the price of your bus pass by the number of months that you will be staying in New Zealand so you know if that prices fits your monthly transportation budget. We prefer using the method A, as it can often unveil surprises in what is actually cheap and what is not. Check these out to help you plan an epic backpacker bus trip and budget for New Zealand.